Too many of us can relate to the pit in the stomach and the knot in the chest over the tiniest mishap showing for all of the world to see “IMPERFECT! DEFECTIVE!”Then the disgust and self loathing racing through the brain, “Your a failure. Pathetic. What’s wrong with you? !” It’s exhausting. 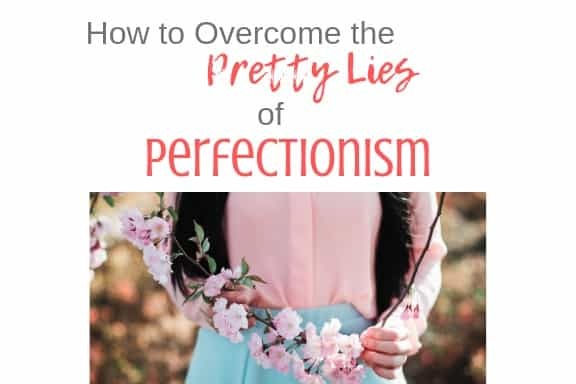 ADHDers aren’t the only ones who struggle with perfectionism and many non ADHDers would be surprised to learn that we struggle with it at all. But we do. The monster perfectionism does not discriminate. It spreads it’s evil liberally and equally among the human masses. Evil, you say? Isn’t perfectionism something we all pretend is a bad thing in job interviews when asked about our greatest weakness? It’s the safe answer because we all know it’s a strength masked as a weakness…right? Perfectionism is linked to an increase in depression, anxiety, eating disorders, substance abuse, self harm, and suicide. I wouldn’t call something that increases your odds of dying a strength. I would call it pain. This pain requires perfectionism treatment and a whole new perfectionism philosophy. Being a Perfectionist is equal parts anxiety and shame. How did we ever get the idea that it’s really a good thing? People have argued that it can be adaptive. I would argue that if it’s adaptive it’s not really perfectionism. Setting a challenging goal, aiming big…isn’t perfectionism necessarily. If a person can set a big goal but count any forward progress as success while continuing to work toward more…that’s adaptive. It’s healthy and it’s the hallmark of the high achievers. When a perfectionist sets that big goal, it’s often an unattainable one and progress is not important, only the perfect outcome is relevant. Anything less than perfect is complete and utter failure that leads to self loathing. That’s not helpful to anyone. And making our accomplishments and failures the measure of our self worth. But then also disregarding our accomplishments once we reach any because “they weren’t real” some how. Are you beginning to see why perfectionism is linked to so many mental and physical health issues? Heard of a cost/benefit analysis? This is one of those strategies that are really easy to get lazy with and not even realize it but when done with a deep and uncomfortable honesty, can actually be pretty helpful. 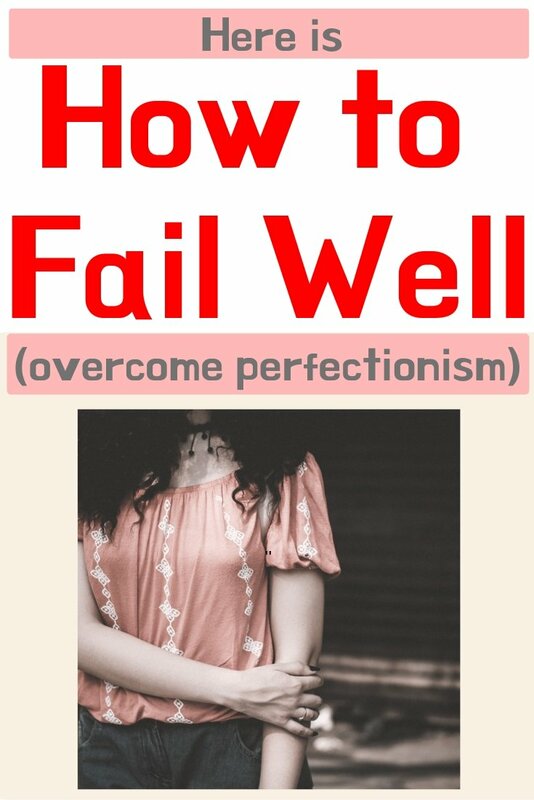 How has perfectionism hurt you? Go beyond the obvious things that you already know and stick with the question, maintaining a caring curiosity rather than a self loathing accusation, until new insights come. And do the same with how perfectionism may have benefited you. People often look at me like I’ve grown three heads when I ask them to think about how something so painful has been helpful to them but the truth is the human being rarely–if ever–continues to engage in something that has NO benefit to us. Take substance use for example. It obviously causes great problems and pain in a persons life and can even kill them, what benefit could it possibly provide? Maybe a break from emotional torment. Perhaps the chance to forget about how painful life has been? Sometimes the benefit we get from harmful coping practices is the opportunity to avoid other emotions and avoiding those emotions keep the emotions and the perfectionism stuck. I’m not saying your benefits have outweighed your costs, only that they are there whether you admit to them or not and discovering them can help you better understand part of why something that hurts so much continues to stick around. I’ve written several times about the benefit of self compassion and what I have here is pieces of a much bigger framework. Start with what I have here but then check out The Mindful Self Compassion Workbook by Kristen Neff. The self loathing? Cut it off. Ask yourself, if my friend were talking to me about a “failure” like this one, what would I say to her? How would it sound? Would my tone be warm and comforting or harsh and condescending? We often have the awareness that telling our friend how stupid she is for making an error is wrong but don’t see it the same way when we say it to ourselves. Pain is pain and abuse is abuse whether you say it to yourself or a friend. This little change makes a HUGE difference. It’s easy to get into this crazy vortex where we are the only idiots in the world that made this mistake and how stupid are we anyway that 8 billion other people aren’t this stupid? But the reality is we are never the only people who have made whatever mistake that we made. And chances are everyone who’s made this mistake felt similarly pained because of it. Getting ourselves out of the shame spiral often needs the reminder that this mistake makes us not only human but part of a common humanity–one in which we aren’t alone in what we’ve done or not done and definitely not alone in our feelings. Radical acceptance is a tough concept to explain for me and I think a tough one for people to fully grasp because it has a deeper meaning than it seems. To radically accept something is to completely accept something from the depths of your mind, heart, and soul. To radically accept is to stop fighting reality. And to stop fighting means to suffer less. It is to fully let go and accept what is. There are no shoulds or shouldn’ts, oughts or ought nots. To have radically accepted something is to let go of that “yes it happened but it shouldn’t have happened” because even that is fighting reality and increasing your suffering. Neither of those are true. To accept means to agree that reality happened the way that it happened and that nothing you do, think, or feel will change what has already happened. It does not mean that you have to believe that it was good that it happened or the person who hurt you was justified. It’s not that you have to lower your aim. It’s that you need to change your definitions. In the perfectionist’s mind Success= Perfection and Failure=Anything else. Black and white, all or nothing. Instead, here’s what I’ve come up with for the two terms. Play with your own definitions and see what you can come to but in the mean time, feel free to use mine if you wish. Success= It’s endurance. It’s the ability to adapt and to make something work even if it isn’t exactly what you were going for. It’s perseverance and it’s progress. A step forward is a success, no matter how small. Sometimes even a step backwards is a success if I choose to persevere and use it to adapt and make the most of what I have. Failure= to give up. Something that happens or a choice that is made–not a personal flaw and not indicative of the person being a failure. Everyone fails sometimes. Colonel Sanders created KFC Chicken but it took him over 1,000 failed attempts before he created the winning recipe. And remember, when you feel like you’ve failed or you did experience a failure, your in good company. JK Rowling, Thomas Edison, Michael Jordan…the list goes on. This is where you can pull in that self compassion piece and the common humanity. It’s been said that the antidote to shame is human connection. When we, despite our fear, reach out to someone that cares about us and share the pain we are experiencing and the feelings of failure, and we receive support, kindness, and encouragement back, we chip away at the block of shame we have been carrying. Share your experience with the people you love and love you back. Doing so reduces the emotional overwhelm and the negative self talk. A lot people get stuck in a spiral where they worry about burdening other people. If you read my post on Stress, you know that when we reach out to other people for support it benefits both of us by releasing oxytocin which is a powerful hormone that encourages bonding and protects against negative impacts of stress. Yes, you read that right. They get a surge of oxytocin too, not just you. So reach out for them and for you. Besides, you reaching out when you need them communicates to your friend that you have a bond strong enough that when the time comes, they can reach out to you, too. This is a skill that can improve your awareness of perfectionism and how it keeps holding on when you keep trying to shake it. It can also help you move through the shame and self loathing if you find that you are having a hard time using the self compassion in your mind. 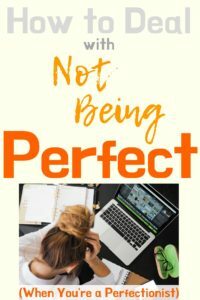 Putting it out on paper is an incredible release that can help you learn how to deal with not being perfect. I used to hate journaling. I thought it was redundant and pointless. I was wrong. What I discovered in the practice made me change my mind as you will see in my posts above. Perfectionism involves a lot of shame and anxiety and journaling is a really effective skill to not only reduce the impact of these emotions but to actually work through them. You are likely missing out on a huge mental and emotional benefit if you don’t journal. I know I was. This is a small post on a big topic. Perfectionism is like a wad of chewing gum in your hair. It holds on for dear life and you have to pick it out a little bit at a time because you don’t have any mayonnaise or peanut butter on hand. Don’t get discouraged if it’s hard to shake–it’s a super villain and they don’t go down easy but with the strategies above and a good therapist, you can win the battle and have a new perfectionism philosophy that works for you. Tell me, how are you fighting your perfectionism? At the ripe old age of 28 I found out I had ADHD and went on a quest to figure out what that meant for me as a woman, wife, and mental health therapist. Despite my training, I didn’t recognize my own ADHD. Turns out, I didn’t really understand the nuances of life with ADHD and unfortunately many other mental health and medical professionals don’t either. What I discovered was life changing and I realized that other people needed to know the truth, too. So this blog was born. I’m here to help you understand ADHD better, get the treatment you need, and learn to make ADHD work for you. Everything you’ll find here has the research to back it up because I will only give you information that I can stand behind. Because you deserve that! Want ADHD Tips Delivered Weekly to Your Inbox?